Lock in a great price for Suntower Hotel – rated 9 by recent guests! Staff was very helpful and kind. But the location and the view from the room was wonderful. They served breakfast earlier for me. Highly recommended. The views from our balcony were just perfect! The room was very clean and spacious. Excellent value for money choice! Nice rooftop terrace to enjoy the views! Very friendly and kindly staff. 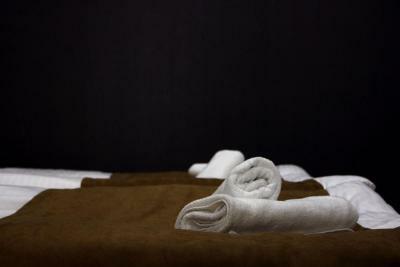 Hotel is new and in a good location - 5 min walk from city center. - Stadtzentrum fußläufig zu erreichen - Personal freundlich - Das Hotel ist niegelnagelneu, allerdings wurden beim Bau offensichtlich Fehler gemacht und bei der Einrichtung an der falschen Stelle gespart. One of our top picks in Mestia.Featuring ski-to-door access, Suntower Hotel is set in Mestia and also provides a terrace and a bar. The property is located a 7-minute walk from Museum of History and Ethnography. Free WiFi is provided. At the hotel, each room has a desk and a flat-screen TV. Suntower Hotel has some accommodations that have mountain views, and the rooms are equipped with a private bathroom and a closet. Buffet and American breakfast options are available each morning at the accommodation. Guests at Suntower Hotel will be able to enjoy activities in and around Mestia, like skiing. Mikhail Khergiani House Museum is 1.3 miles from the hotel. 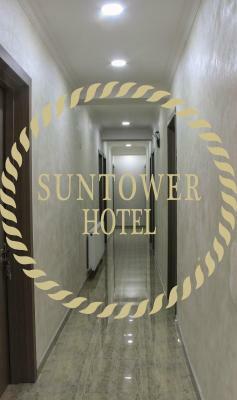 When would you like to stay at Suntower Hotel? House Rules Suntower Hotel takes special requests – add in the next step! Don't really have anything to add here.